This spring, and leading into summer, try honey as a natural sweet addition to your meals. Honey is a pure, natural sweetener with a unique flavour, making it the perfect option for adding flavour complexity to breakfast, lunch and even savoury dishes for dinner (and everything in between). Billy Bee, Canada’s favourite honey, is now made from 100% Canadian sourced honey. Look for Billy Bee himself, sporting an ‘Oh Canada’ shirt and ‘100% Canadian’ seal on Billy Bee product labels. Celebrate Canada Day early with a drizzle of 100% Canadian sourced Billy Bee honey on your morning oats. – Honey is a perfect substitute for sugar in most baking recipes. There is a great sugar-honey converter on the Billy Bee website that can help you make the switch. Click here for chart. – Honey is easy on the stomach, adapts to virtually all cooking processes, and has a 2 year shelf-life when stored in optimal conditions. – Honey is a great emulsifier for salad dressings and adds a touch of sweetness to your greens. Now, let’s getting cooking with Billy Bee Honey! 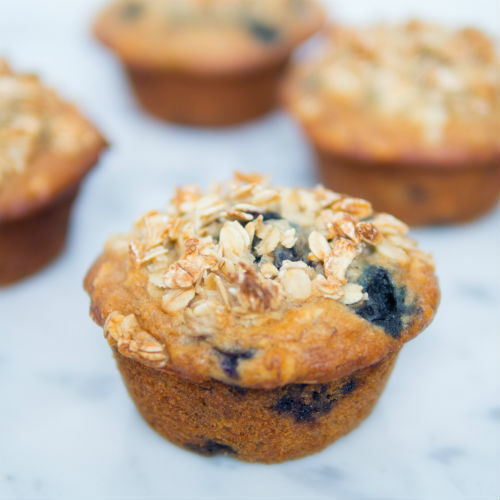 These easy to whip up muffins are perfect on-the-go, lunchbox snack, or served with coffee as a Mother’s Day breakfast-in-bed treat made by little ones. Click here for the recipe. 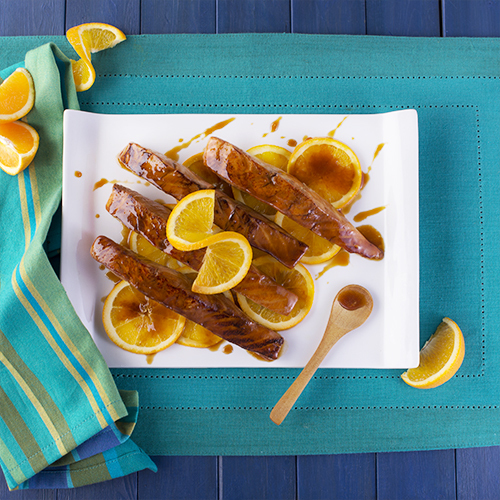 Move over lemon and dill, this honey and orange marinade will be your new salmon go-to! Click here for the recipe. Take advantage of the produce section for pre-chopped and washed cabbage. 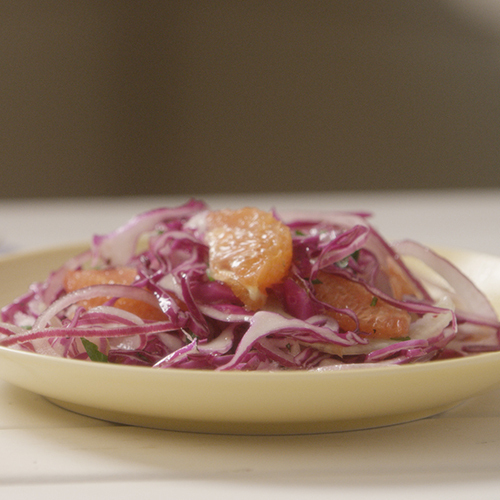 This slaw is perfect as a side dish, or even served on a beef or chicken burger off the grill. If you don’t have oranges on hand, try fresh diced pineapple or mixed berries such as blueberries or raspberries. Click here for the recipe. 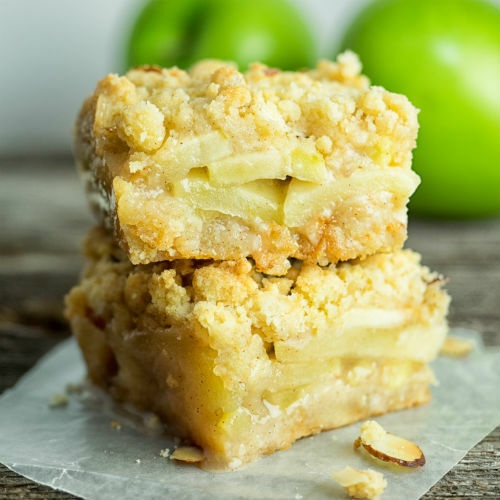 These apple crumb bars taste just like apple pie without having to fuss with pastry, my kind of dessert! Serve with a scoop of vanilla ice-cream for a May long weekend simple and bee-licious cottage dessert. Click here for recipe. 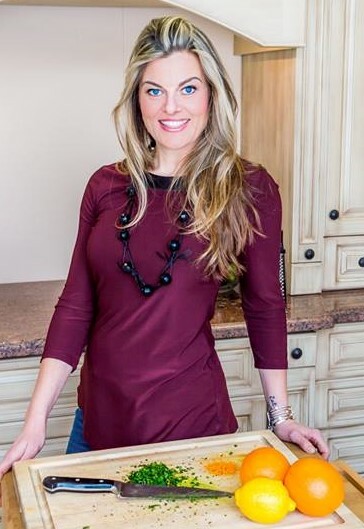 Charmaine Broughton is a food media specialist and recipe writer for Running Room Magazine. “I eat, cook & play with food for a living = why I run! !” she says with a laugh. She’s a regular guest on a variety of morning shows across Ontario, sharing her enthusiasm for all things edible. Most importantly, Charmaine is the mother of two active, and always hungry teenage boys; Tyler & Colgan. She understands the importance of preparing healthy, wholesome dishes all while keeping time, budget and her sanity in mind.